Apologies for the lack of updates- we’ve been busy! Here we are at the end of week 6 of construction. The power supply is in, benches are finished, most of the trays in, but there are still a few hiccups- the plumbing needs some attention, and we have water coming in through the blockwork around the base. Nothing that we can’t fix in the next week or two. We also need to install a sink and workbench, but those can wait. 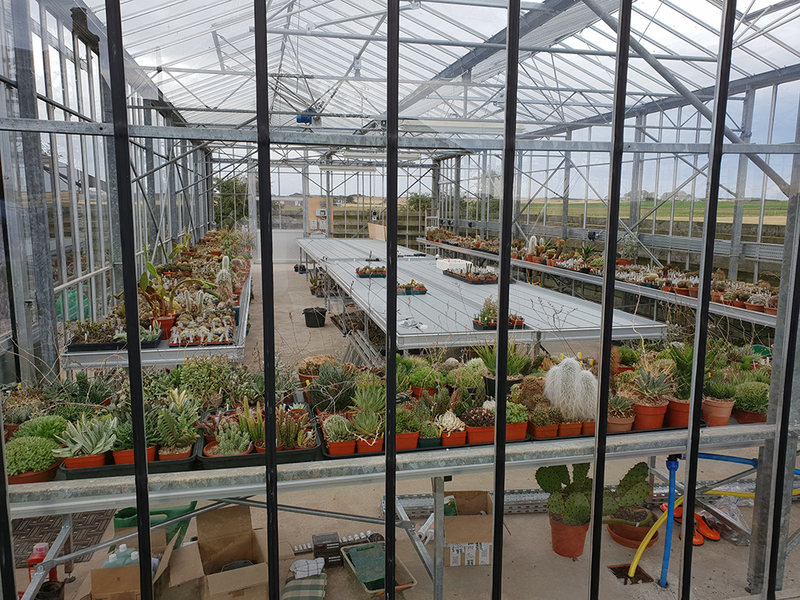 We’ve started bringing the plants back in, as you can see, but they are all higgledy piggledy. They’ve all been watered and fed over the last 5 days.